1915. on the Nineteenth day of May at 31 Gayfield Square, Edinburgh By Declaration in presence of William Anderson Cook (School Board) and Kate [unreadable] McLeod n Anderson. The male contracting party, being on active service and unable to attend and sign the Registers, his name has been inserted by me. [?] Cameron. Asst. Registrar. KAVENEY—MITCHELL.—At the Register Edinburgh, James Kaveney, S.B.S., H.M.S. Tyne, [missing characters] Minnie Fairlie. 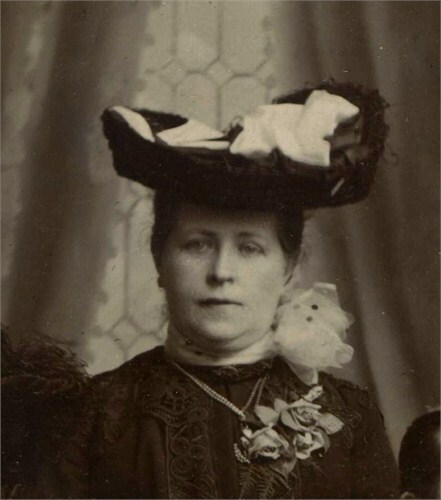 widow of Alexander Mitchell Carnoustie. James dies in Portobello, Edinburgh. His sister Annie Shakeshaft was present at his death but her niece Ursula Kaveney recounts that Annie had also spent time in Edinburgh looking after James while unwell. Cause of death: Chronic Bronchitis and Myocardial Degeneration. This entry was posted in Kaveney on August 20, 2013 by kg0279. This entry was posted in Hunt, Kaveney on August 16, 2013 by kg0279. 6 May 1912 at Holy Cross Chapel Wellington Street, Leicester. Arthur Kaveney, 24 years, bachelor, dental mechanic, resident Wigston Street, Leicester, son of Martin Kaveney ‘deceased’, a coal miner to Grace Lilian Hunt, 23 years, spinster, no occupation, resident Wigston Street, Leicester, daughter of Thomas Bernard Hunt, a fishmonger. Witness Thomas Raby, Annie Kaveney. Thomas Raby is, as yet, unidentified is most likely to be related to Grace’s step-mother Alice Elizabeth Raby. Annie Kaveney is Arthur’s sister. Infant Welfare Centre. —Bishop Stortford Centre, the sixth size in the county, has made the best attendance record, the total being 4,315, average of 88. — Papers on health and mothercraft. 1, Mrs. Guyver; 2, Mrs. Sutherland ;3, Mrs. Lilley. — Regular weighing. 1, V. Biggs; 2, E. Piper; 3. L. Cloughly. — Regular attendance. Equal 1, Mrs. Wedlock and Mrs. Mrs. Thurgood; 3, Mrs. 4, Mrs. Lilley. — Flower competition 1, N. Thurgood; 2, V. Guyver. — Plain needlework. 1, Mrs. Sutherland; 2, Mrs. Larrett. — OveralL Mrs. Smith; 2, Mrs. Mansfield. —Frock. 1, Mis, Sutherland. — Crochet coat. 1, Mrs. Kaveney. — Father’s ingenuity competition. 1, Mr. Emerson. — Papers on “my ideal cottage.” 1, Mrs. Bush; 2. Mrs. A. Ellis. Connections to Raby family Leicester. dau. to Arthur Kaveney and Grace Lillian Hunt. Youngest dau. to Thomas Bernard Hunt and Ellen Taylor (1858-1896). After the death of Ellen Taylor in 1896, T.B. Hunt remarried in 1897 to his second wife Alice Elizabeth Raby. They had three further children. Alice Elizabeth Raby, b.1860 Leicester, d. 1933 Leicester. Alice Elizabeth Raby_1904 at wedding of Florence Hunt (step daughter) to William Andrew Nolan. m. 1897, Thomas Bernard Hunt. Step-mother to Grace. Aged 8 when her father remarried, Grace knew Alice as her mother for a considerable part of her childhood years and grew up with her half-siblings from Thomas and Alice’s marriage. Two of her own daughters to Arthur Kaveney are later named Margaret (Meg) and Winifred (Winnie). Registration District of Leicester, 1860 Birth in sub-district of East Leicester. 1861, 23 Grafton Place, Leicester. 1871, 40 Watling Street, Leicester. 1881, 56 Mostyn St. Leicester. 1891, 5 Wilne Street, St Margaret, Leicester. Jane Raby Head single age 62 b. 1829 Warwickshire Shirt maker. Jane Raby is recorded as having three children. From the census information for Alice it’s seen that Jane was born 1829 in Warwickshire (allowing for the 1871 census being in error) and that she had siblings Alice b. 1832 Leicester, Richard b. 1834 in Leicester and George b. 1837 in Leicester. She is listed as unmarried. 1851, 20 Mansfield Street Leicester. 1861, 23 Grafton Place Leicester. See Alice Raby for census. It is not clear if the father’s name is genuinely “William Manton Raby” since Jane Raby is unmarried or that the name is “William Manton” and “Raby” is included because she is unmarried. Birth certificate required. 1871, 40 Watling Street, Leicester. See Alice Raby for census. 1881, 56 Mostyn St. Leicester. See Alice Raby for census. 1891, 5 Wilne Street, St Margaret, Leicester. See Alice Raby for census. 1901, 5 Wilne Street, St Margaret, Leicester. John T Raby Son single age 49 b. 1852 Nottingham Railway goods porter. Entry for Q3 1907 lists a Jane Raby b. c. 1830 dying in Leicestershire. Certificate required. The entries ties Helen and Jane together with their residence as Saltisford (Warwickshire) and William’s profession as “Iron Turner”/Engineer, which fits with Jane’s father’s occupation in the 1841 and 1851 census above but also for the information about William Raby below. William Raby b. 1794-6 Lancashire – 1868 Leicester. son of Martha (Raby), assumed. It might be assumed that Martha in the 1841 census is William’s mother being some 30 years his elder and unlikely to be a sister. The details of 1841 census did not include relationships so it is not impossible that she is some other relation. This in itself does not help provide a relationship since it does not place this William as born in Lancashire, however it is known that Jane Raby’s younger sister in 1826 and then Jane herself in 1829 were christened in this church to parents William and Elizabeth Raby. See baptism records. The 1841, 1851 censuses (above) and 1861 census (below) entries confirm this relationship and places of birth for William in Manchester, Lancashire and Elizabeth in Bascote Warwickshire. So it would seem William Raby moved from Lancashire to Warwickshire where he married Elizabeth, had two daughters and then they moved to Leicester. 1841, Mansfield St., St Margaret with Bishops Fee, Leicester: see Jane Raby for census. 1851, 20 Mansfield Street Leicester: see Jane Raby for census. 1861-1868 wife Elizabeth dies, see William’s Probate record below. 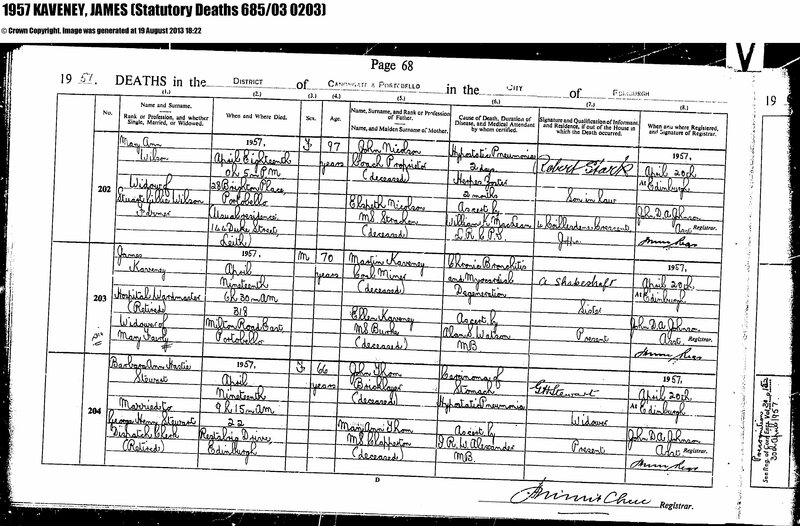 An England and Wales Death Index entry for Q2 1868 lists an Elizabeth Raby b. 1793 dying in Cambridgeshire. Certificate required, Cambridge has not been related to before. 1868 Dec 12, Leicester, William died. 1871, Alice, Richard and George are recorded on the census living with their sister Jane Raby (as Head). See Alice Raby, dau. to Jane, above. 1881, 5 Grafton Place, Leicester. George is married to Sarah Ann Ellis (ne Neal) who already has a family. 1891, again Alice and Richard live with Jane and her family. See Alice Raby, dau. to Jane, above. 1894, England & Wales, FreeBMD Death Index, 1837-1915 has a death for Richard Raby, Q4 1898 in Leicester. (Leicester, p.150). Cerificate required. 1901, Alice lives with Jane. See Jane Raby above. Born William Raby, probably to a mother named Martha, in Lancashire, probably Manchester and from census ages, sometime 1794-1796. He has an ‘engineering’ background. *Although the spelling in the transcription records appears wrong in the 1794 record for William Rabecy, this is not an uncommon error and in some sources marked questionable because of legibility. It is not unlikely then that this is William Raby son of Martha. If this is the case then it also provides us with William’s father who is also named William Raby. See also the entry here for a John Raby b. 1792, Blackburn. 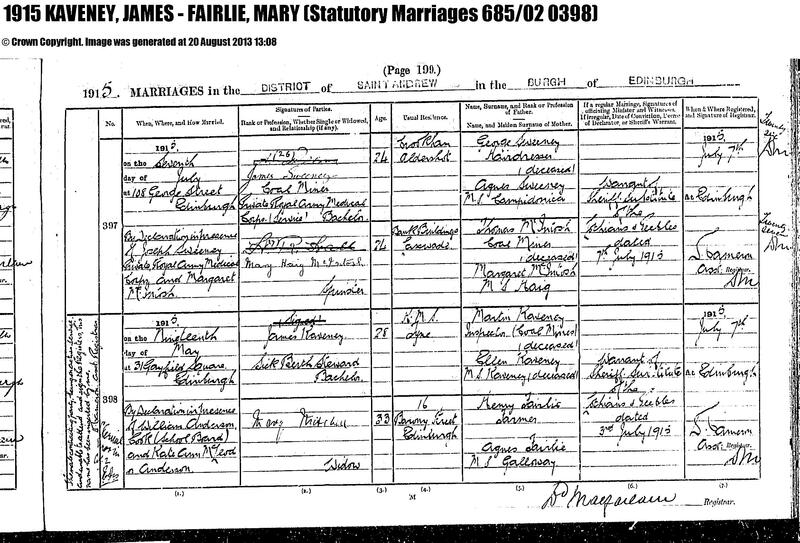 1792 Pallot’s Marriage Index for England 1780-1837, Lancashire Marriage records and Banns records all have entries for the marriage of a William Raby of Blackburn, a joiner to Martha Physic of Tatham 24th March 1792 in Tatham Lancashire. In the presence of James Smith and Richard Raby (see also Richard Raby, below). Christening 1773. Martha daughter of Henry Physick, baptised 17th January. It should also be noted for the sake of completeness that there is also a record of a Winifred Raby born to a William and Martha Raby recorded in the “Warwickshire, England, Baptisms, Marriages, and Burials, 1535-1812″ at Bedworth, 19 Nov 1809. This is some 20 miles from Saltisford where son William and Elizabeth lived at the time of their first children, daughters Helen and Jane. William and Martha probably had a daughter, Ann (1804-1831). On Sunday the 11th, Ann, second daughter of Mr. William Raby, of this town, aged 27. She had been afflicted with dropsy for eight years, during which period she had been tapped many times. She died quite resigned to the will of her Creator, on whom she fully relied. This also provides space for at least one other child, a daughter between the son William b. 1794, if not before him, and Ann b. 1804 as the ‘second daughter’. 1841, Martha appears on the census in her son William’s household, Mansfield St., St Margaret with Bishops Fee, Leicester: see Jane Raby for census. 1851, no census record found for Martha Raby born in Lancashire but there is a record of Martha Raby born Todmorden, Yorkshire living at93 Welford Road, Leicester. This entry, seemingly, if correct, likely casts a previously strong candidate for Martha Physic into some doubt. Perhaps the enumerator misheard “Tatham” for “Todmorden”? However, later facts and relationship events provide still strong evidence that this line for William and Martha remains correct. The 1794 Christening record of William Rabecy, is not evidence in itself that these are the same William and Martha Raby parents to the William Raby, father of Jane. It’s now necessary to make a diversion and look at another resident of Leicester, Richard Raby. William Raby a joiner of Blackburn, Lancs m. 1792 to Martha Raby of Tatham, Lancs. Martha lives with son William in Leicester and later dies there. 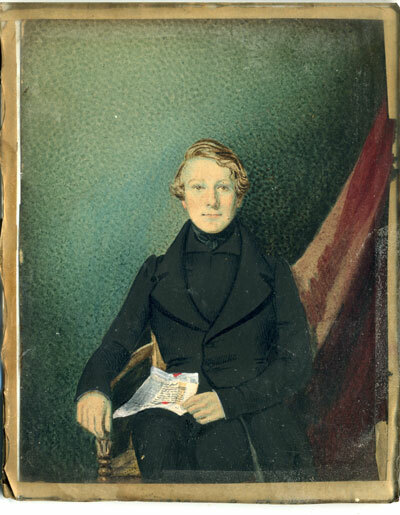 Son John born 1792 in Blackburn. Son William born 1794 Manchester. m. Elizabeth Duckett,in Warwickshire. Parents of Jane Raby. Return to Leicester. Dau. Unknown name born before Ann in 1804. Dau. Ann born Lancashire or Leicester 1804. Dies 1831 Leicester. At some point between 1794-1812 William and Martha move to Leicester. Dau. 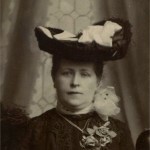 Winifred born 1812 Leicester. 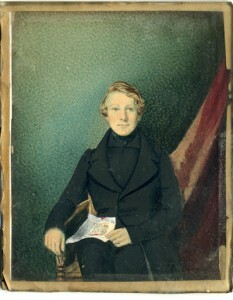 Son James born 1817 Leicester. Also recall that William and Martha’s marriage witness included a Richard Raby. This is likely to be William’s brother as might be shown below, although it is now necessary to make a small diversion. Returning to the family of Thomas Bernard Hunt it is important to know that his marriage to Ellen Taylor was in Holy Cross Church Leicester – the “Roman Catholic Chapel” in Leicester. In early the 19th century Roman Catholicism was still somewhat stigmatised even though penal laws were beginning to be relaxed. The Roman Catholic Relief Act of 1829 removed the most substantial restrictions on Roman Catholicism that existed in the United Kingdom. It was common in times before T.B.’s marriage to Ellen Taylor for Roman Catholics to marry in both Church of England and Catholic ceremonies. By 1875 when they married, emancipation of Catholics had occurred and with civil registration, Catholic marriages and baptisms took place more freely. However, before this though, with T.B. Hunt’s, Ellen Taylor’s and Alice Raby’s own families, Established Church ceremonies did not necessarily demonstrate the religious persuasion of the individuals. Thomas, Ellen and Alice demonstrate their Catholicism in their marriage ceremonies. Turning to the Raby’s in Leicester, in particular with respect to Catholicism we find reference to a Richard Raby. Various sources cite one Richard Raby as a prominent member of Leicester society and influential in the Catholic community. …In 1798, under Father Francis Xavier Chappell O.P., the first permanent chapel, dedicated to St. Michael, was established on the upper floor of a building in an entry off Causeway Lane. Considerable secrecy was always preserved about its exact whereabouts. Services were held there until 1850. The building remained in existence until 1939, as part of a factory. Early in the 19th century masses were said in a warehouse belonging to Richard Raby, a prominent Leicester Roman Catholic, near the old Vauxhall gardens; it seems that the Causeway Lane chapel had become too small to house the growing Roman Catholic population which sprang up probably as the result of the establishment of the permanent chapel. From the history of Catholicism in Leicester it appears Richard Raby was a successful businessman in the town in the early part of the 19th century and this provides a number of clues as to his origins and background. Principally he his a worsted spinner from Lancashire who establishes a successful business in Leicester but tragedy strikes his family. TO THE EDITOR OF THE PRESTON CHRONICLE. 1804. It seems from the following article in 1804 that the partnership mentioned in the 1852 article above might be a second partnership from a former one dissolved in 1804, since this notice mentions a third partner, although he may just have been omitted from recollection by the correspondent. NOTICE IS HEREBY GIVEN, THAT the PARTNERSHIP lately subsisting between THOMAS BARROW, JAMES MACNEAL, and RICHARD RABY, all of Preston in the county of Lancaster, worsted-spinners, under the firm of Messrs. BARROW, MACNEAL, and RABY was DISSOLVED on the 22d [sic] day of DECEMBER last, by mutual consent : And that the business will, in future, be carried on by the said THOMAS BARROW and RICHARD RABY only, who are duly authorised to receive and discharge all debts belonging the late co-partnership. Dated the 2d [sic] day of February, in the year of our Lord 1804. THOMAS BARROW, JAMES MACNEAL, RICHARD RABY. Witness:- H.DEWHURST. 1807. Without notices about the second partnership, it seems that Richard moved to Leicester sometime after 1804 and before 1814 when another notice appears for company partnership dissolution in Leicester. However, an article in the Lancaster Gazette suggests he had an interest in Lancashire at least until 1807. ALL that FREEHOLD CLOSE of GROUND, known by the name of MILL FIELD, situate at Skerton, near Lancaster, adjoining Skerton Green; containing, by admeasurement, [2??? S1p]. statute measure, and now in the occupation of Richard Raby. For further particulars apply to Mr. PARK, solicitor, Lancaster. LANCASTER, OCT 8, 1807. 1814. Dissolution of partnership in Leicester. NOTICE is hereby given, that in the partnership trade of Worsted Spinners, carried on in the Borough of Leicester, in the County of Leicestershire, under the firm of RICHARD RABY and Co. [??] Richard Raby, of the Borough of Leicester aforesaid, Worsted Spinner, and John Carr, of the City of Coventry, watchmaker, was this day dissolved by mutual consent, as and from the 31st of December last. All persons indebted to the said co-partnership trade, are requested to pay their respective debts to the said Richard Raby, who is duly authorized to receive the same; and all persons having any claim or demand upon the said co-partnership trade, are desired to apply to the said Richard Raby for payment thereof. As witness our hands this 28th day of March, 1814. RICHARD RABY. JOHN CARR. Witness hereto. – Mark Pea[s]man. Either, through maintaining contact with the North West, perhaps by visits to family or on business, or perhaps even through an already established relationship before he left for Leicester, Richard married, in Preston a year later. On the 17th instant, at Preston, in Lancashire, Mr. Richard Raby, super worsted manufacturer of this town, to Miss E. Walker of the former place. .. On Monday se’nnight [i.e. last week], Mr Richard Raby, of Leicester, to Miss Walker, of Preston, milliner. 1816. Birth of son Richard (the Younger). 1818. Birth of son John. 1821. Birth of only daughter Eliza. See death notice of Eliza below, 1855. 1829 Richard supports Catholic Emancipation. PUBLIC MEETING, ON THE SUBJECT OF CATHOLIC EMANCIPATION. A REQUISITION (of which the following is a Copy) having been sent to the Mayor, & he having declined to comply therewith, we, whose names are attached thereto, hereby give notice, the a PUBLIC MEETING for the purposes stated in the Requisition will be held on MONDAY Next, February 23, at the BELL HOTEL. The Chair will be taken at twelve precisely. TO JAMES RAWSON, Esq. MAYOR OF THE BOROUGH OF LEICESTER. We the undersigned request you will call a Meeting of the Inhabitants of the Town and Vicinity of Leicester, to take into consideration the propriety of addressing His Majesty or Petitioning either House of Parliament, in support of those Measures which His Majesty’s Ministers are about to submit to Parliament for the Emancipation of our Roman Catholic fellow subjects. 12th February. 1835. A son to Richard can be identified through Articles of Clerkship. 302 Richd. Raby Junr. to Wm. Freer Filed this 27 day of February 1835. John Bass Hanbury of Leicester in the County of Leicester Gentleman maketh oath and saith that by Articles of Agreement indented bearing date the eighteenth of this instant February and made between William Freer of Leicester aforesaid Gentleman on of the Attornies of His Majesty’s Court of King’s Bench at Westminster of the one part and Richard Raby the Younger of Leicester aforesaid Gentleman and Richard Raby the Elder of Leicester aforesaid Worsted Spinner ([sic]Father of the said Richard Raby the younger of the other part The said Richard Raby the Younger with the consent and approbation of the said Richard Raby the Elder did put and place and bind himself Clerk to the said William Freer to serve him in the practice and profession of an attorney at Law from the day of the date of the said Articles for and during and until the full end and term of five years from thenceforth next ensuring and fully to be complete and ended And [sic] the Richard Raby the Younger as his clerk accordingly. Source: The National Archives of the UK (TNA); Kew, Surrey, England; Court of King’s Bench: Plea Side: Affidavits of Due Execution of Articles of Clerkship, Series III; Class: KB 107; Piece: 1. No other reference to Francis Raby has been found yet and so his relationship is not known. 1837. 27 January, Richard dies in Leicester. FUNERAL OF THE LATE Mr. RABY. – The remains of Mr. Raby, of Bath-lane, were interred in a vault at the Catholic chapel, in Wellington-street, on Thursday last. He was followed to the grave by a large concourse of persons. Mr. Stone, his attorney, and Messrs. John and William Biggs, his executors, were present at the funeral; together with other gentlemen. The chapel was crowded to excess, and the Rev. Mr. Hulme pronounced an impressive oration over the tomb. On Friday, the 27th inst., much respected, aged 63, Mr. Richard Raby, worsted spinner, of Bath Lane, Leicester. Mr. Raby was a native of Lancashire, but had resided in Leicester about thirty years, and had been long celebrated for his superior manufacture of worsted. As a practical machinist he had few equals, and when a very young man, filled important situations in several of the most extensive manufactories [sic] in Lancashire. He was a man of enlarged benevolence, and his loss will be deeply deplored among the poor of the religious body (Roman Catholics) to which he belonged. Married before the introduction of civil registration, there seems no civil records of children to Richard and Elizabeth and, suspecting their strong beliefs in their Catholic faith perhaps, there also as yet don’t appear to be any Anglican or non-Conformist parish records in Leicester either. And so the next document of use is Richards Will which is available from the National Archives. Prerogative Court of Canterbury and related Probate Jurisdictions: Will Registers. Will of Richard Raby, Worsted Spinner of Leicester , Leicestershire. Collection: Records of the Prerogative Court of Canterbury Date range: 07 April 1837 – 07 April 1837 Reference:PROB 11/1877/79 Subjects:Wills and probate. This will confirms his wife as Elizabeth but also provides some additional information. The reference to his brother William (i.e. William and Martha) and their children sons and nieces: William (known), James (known), Ann (known but died 1831 before will enacted? ), Mary (unknown but possibly the missing elder sister to Ann) and Winifred brings the relationship into some clarity. It also links to another brother John, probably his children, RIchard’s other nephews and nieces. 1855. Death of daughter Eliza and wife Elizabeth Walker. On Tuesday at the convent of the Order of St. Benedict, near Stone, Aulton, Staffordshire, Eliza, only daughter of the late Mr. Richard Raby, of this town, in her 34th year. On the 8th inst., at Munich [see son Richard Raby], after a short illness, in her 76th year, Elizabeth relict [widow] of the late Mr Richard Raby, of Bath-place , in this town. Raby, Richard born 1818, eldest son of Richard Raby, of Bath Place, Leicester, woollen manufacturer, and of his wife, Elizabeth, was educated at Stonyhurst, whither he went Sept. 2 5, 1829. Some years after his father’s death, in 1837, he left Leicester, and settled at Munich, Bavaria, where he engaged in professional and literary pursuits. He died there, Aug. 3, 1881, aged 63. Stonyhurst College, Clitheroe, Lancashire is a Roman Catholic Jesuit college that, in 1794, moved to England from the continent as other Catholic colleges did at various times. This places links to both the religious faith of Richard’s family but also his roots back to Lancashire through his father. The archivist at Stonyhurst, David Knight, has been kind enough to confirm that Richard entered the school on 25 September 1829 (aged 11, by calculation) and left on 4 August 1831 (aged 14, by calculation). However, there is no more detail on record and there is only Gillow’s reference to a birth year at this time. Later, reporting on his younger brother’s untimely death in 1837, he describes him, John, as just turned 19, this would make almost a twin which is unlikely as there is no reference to this obvious situation. So it is more likely Richard the Younger was born before 1818, or he got his brother’s age wrong. 1835. Richard the Younger is indentured to William Freer as a legal clerk for five years. It isn’t known if he completed his apprenticeship. 1837. February, death of father, Richard Raby the Elder. 1837. September, death of brother, John Raby. 1837. 30 September. Letter to Leicester Mercury in defence of Roman Catholicism. TO THE EDITOR OF THE LEICESTER MERCURY. 1837. 21st October. Letter to Leicester Mercury in defence of Roman Catholicism. 1839. 18th January. Repeal of the Corn Laws. To Thomas Stokes, Esq. Mayor. WE, the undersigned, respectfully request you convene a Public Meeting of the Inhabitants of this Borough, to consider the propriety of petitioning both Houses Parliament for repeal of the Corn Laws. In compliance with the above requisition, I hereby appoint Public Meeting of the Inhabitants of this Borough, to be held at the Town Hall, Monday the 27th day January instant, Six o’clock in the evening. Thos. Stokes, Mayor. Leicester, January , 1839. 1839. 08 February. Response in the Leicester Journal. Mr. RABY—The CATHOLIC INSTITUTE AMBROSE LISLE PHILLIPPS,Esq., BRITANNICUS. Sir, The state of my health has, for some time, obliged to refrain from engaging either in political or theological discussion—although distressed, almost agonised at the wreckless and unceasing attempts, which are daily made, to destroy the sacred Institutions of our country. But I was effectually roused from somewhat necessary state repose, by the letter of a Mr. Raby, inserted your last week’s Journal, who ventured to attack certain observations which you had made a Roman Catholic Institution, entitled The Catholic Institute.” Had Mr. Raby’s letter been signed “Rabid,” the epithet would, in some measure, have justly characterised the composition. 1843. 3rd February. In defence of Catholicism. 1843. 25 February. Gettting ready to depart Leicester. A FEW Parting Observations on the Rev. J. Mursell’s Appendix. by RICHARD RABY. Printed Waddington, High Street. 1843. 24th July. Dissolution of Partnership. With Richard the Elder now dead the partnership seems to have been taken over by Elizabeth his wife and Richard the Younger but in 1843 this is now dissolved. NOTICES FROM THE LONDON GAZETTE. July 15.—Elizabeth Raby, Richard Raby, and Thomas Podd Leicester, worsted-spinners and manufacturers. Thomas Podd was also a witness at the coroner’s inquest into the death of Richard and Elizabeth’s son John Raby. 1849. Richard is in Munich by this time. Leicestershire Mercury – Saturday 26 May 1849. Advertisement. Just Published, THE ENGLISH POPE, ADRIAN IV., Historical Sketch. RICHARD RABY, Munich, Price 3s., in 8vo, superfine paper, bound in cloth. London: Richardson and Son, 172, Fleet-street, and Derby. 1855. Death of mother Elizabeth Walker in Munich and sister Eliza Raby in England. Richard was well known in the English Catholic community still and was also teaching after his move to Germany. He published a number of books, mainly historical and religious and had supportive reviews. However, one critic stands out. “While Acton was in Edinburgh, his applications to three Cambridge colleges were turned down because he was a Catholic. The idea of going to Germany was then discussed between his mother and Anna, Countess Arco, her Munich cousin. At first they thought of his living with a young Catholic Englishman, Richard Raby, son of a Leicester cloth manufacturer, who lived in Munich as a writer and tutor and took in young Englishmen on cultural tours. Acton was horrified by the idea; he did not care for Raby, and, what was worse, two of his fellow students at Dr. Logan’s whom he disliked would also be there…. Source: “Lord Acton” By Roland Hill. pp.25-26. 1858 Letter from Lord Acton to Richard Simpson. “1 October 1858, 16 Bruton St. Friday morning. Source: “The Correspondence of LORD ACTON and RICHARD SIMPSON” Altholz & McElrath, Cambridge University Press, 1971. p 84. Professor Richard Raby, who died Munich on August 3rd, in his 65th year, was one of the few Englishmen holding academical office in Germany. He was born at Leicester, and originally devoted himself to scientific studies, but the early death of his elder [sic, younger] brother obliged him to undertake the management of his father’s manufactory [sic], which had fallen into disorder. After the sale of the concern, Mr. Raby went to live Belgium, but about 1842 or 1843 went to Munich, where he lived until his death. He established a school, which was attended chiefly by English and Spanish youths, and he was afterwards called to a chair at the well known Royal Maximilianeum. He wrote a great deal for English serials, amongst others for the Roman Catholic “Rambler.” In 1849 he published Pope Adrian IV., an Historical Sketch,” and in 1866 appeared a second edition of Suso’s “Little Book of Eternal Wisdom.” A selection of readings in English prose and verse, for the higher classes schools, was published by him Freilburg in 1871. A portrait of John passed through to Grace Lilian Hunt and then Margaret Kaveney. 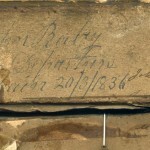 The back of the portrait is inscribed “John Raby Took his Departure for Spain March 20 1836″. None of the history so far recorded gives evidence for who John Raby is. However, the date of 1836 and destination Spain suggest that he joined the British (or Auxillary) Legion fighting in the Carlist wars in the Peninsular. This was not an official British army in that it was mostly comprised of volunteers. Newspaper accounts of his untimely death in a riding accident on his return from Spain provide a wealth of information: that he was the younger brother of Richard Raby and had on October 1836 just turned 18. There was a coroners inquest into the circumstances of his death. They tell of an otherwise unknown brother who was ill suffering in the latter stages of consumption. 1836. 20th March, leaves for Spain. This is the inscription on the reverse of the portrait. 1836. Enlist to the 8th Scottish Infantry 24 March and is wounded not long after. RABY, Ensign, 8th Regt. 24th March 36— wounded 6th June 36- resigned 37. 1837 February, father Richard dies. 1837 September. Dies, riding accident, Leicester. There are very detailed newspaper reports concerning the death of John and the subsequent Coroner’s inquiry at the Red Cow. These also provide information about his character and family. Link to newspaper reports following the Coroner’s inquest. An anonymous piece of poetry is published in the Leicestershire Mercury. LINES WRITTEN THE DEATH OF Mr. JOHN RABY. In which, his youthful spirits took a pride. Upon his horse pursued his joyous course. Ere night o’er earth her sable mantle spread. His strength has vanish’d, and his soul has fled. Where there are no more tears, and no more pain. That man can never tell when death is near. And nature spreads her beauties all around. And death spread o’er the countenance is seen. That comfort which religion yields the mind. The God of him who breathes the air no more. Let friendly feeling try to sooth the pain. Which in a mother’s heart must still remain. On Tuesday, in the 19th year of his age, John, second son of the late Richard Raby, Esq. of Bath-lane, worsted-spinner. The circumstances attendant upon the death of the deceased ate re-corded in a preceding page. On the 5th inst., aged 19, (in consequence of being thrown from his horse,) Mr. John Raby, second son of the late Mr. Richard Raby, of Leicester. This entry was posted in Kaveney, Raby on August 5, 2013 by kg0279.